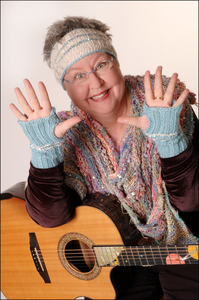 Christine Lavin : KNITTERS PLEASE READ : ATTENTIONAL ALL KNITTERS -- BRING YOUR KNITTING TO MY CONCERTS! 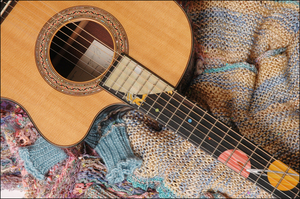 If you knit and are coming to my show, why not bring your knitting with you, come an hour early and we can have a knitting circle either in the lobby, or backstage (depending on the venue) before the show. I would love to meet other knitters who can help me to learn faster (and guide me back on track when I make mistakes -- I'm still a beginner). And if you bring your knitting, can you bring an extra set of needles because maybe there will be someone there who would like to learn how to do it and you could help show them? Should crochetiers be included? Of course! And bead workers. And quilters. Am I skipping anybody? Knitters, spread the word. And if you own a knit shop, contact me and I'll make you the official co-host of the knitting circle (w/two free tickets -- yes, swag!) -- a wonderful way for you to meet other knitters at the show that night. And there will be prizes for the best projects brought to the concert. Print out this page and cut out this Official Invitation to show the management at the House /Venue on the show day! And here's a link to Blueberry Fields Alpaca Farm in Maine -- they have the cutest alpacas AND the yarns are named after the alpaca it comes from! Be There ONE hour before the show to knit! 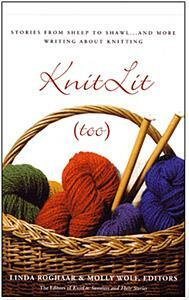 I have a story in KnitLit Too! Check out the website for more information about the book.